Fishing this month so far has been great. We have been experiencing pretty decent conditions out there in the backcountry. Even though it has been a little on the windy side, the fishing has been good. We have had some tropical developments in the surrounding areas in the Atlantic Ocean as well as the Gulf of Mexico and Caribbean that have made it a little windy for us here in Key West. The rain though, hasn’t been too bad. I can’t recall a day in a long time where I had to cancel or cut a trip short due to extreme downpour or lightning, which is a good thing considering it’s summer time! Hopefully the tropical storms and hurricanes stay away this hurricane season, and we have a great transition into our fall fishery. So far, this month has been bringing a variety of species in the backcountry. 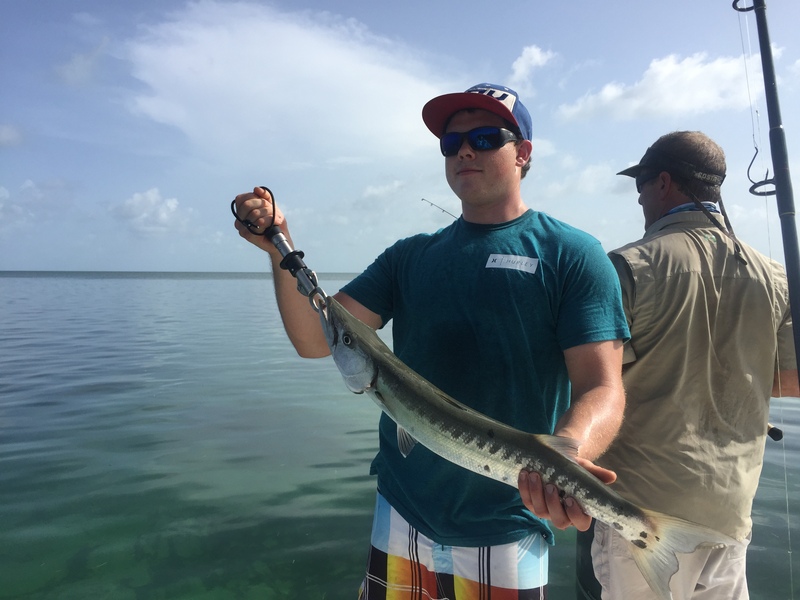 There have been some baby tarpon around, permit, bonefish, jacks, snappers of all types, groupers, mackerel, barracuda, and sharks. The types of fish that we are getting into depend on how we are fishing. As diverse as the people are that come to Key West, their wants and needs as fisherman and outdoor enthusiasts differ as well. With that said, depending on the weather, wind direction, and tides for the timeframe of fishing will ultimately depend on what we target in the backcountry fishery. 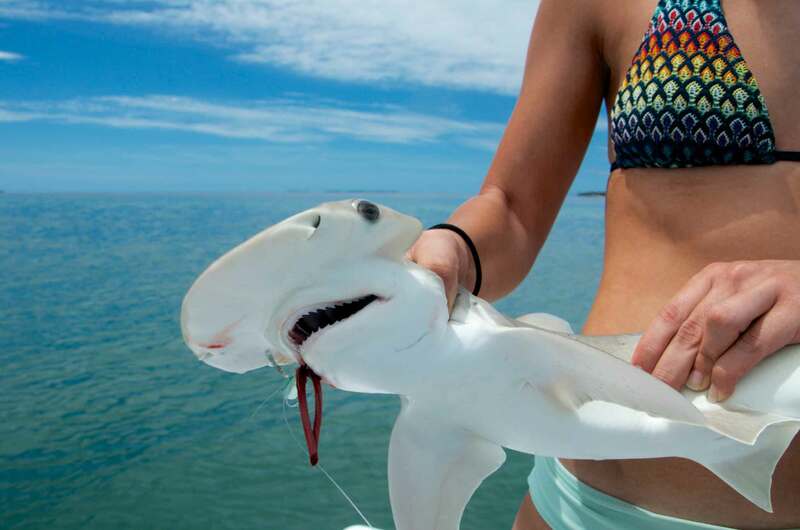 If you are into more steady action, we will try and target more readily available fish like snappers, jacks, barracudas, sharks, etc. 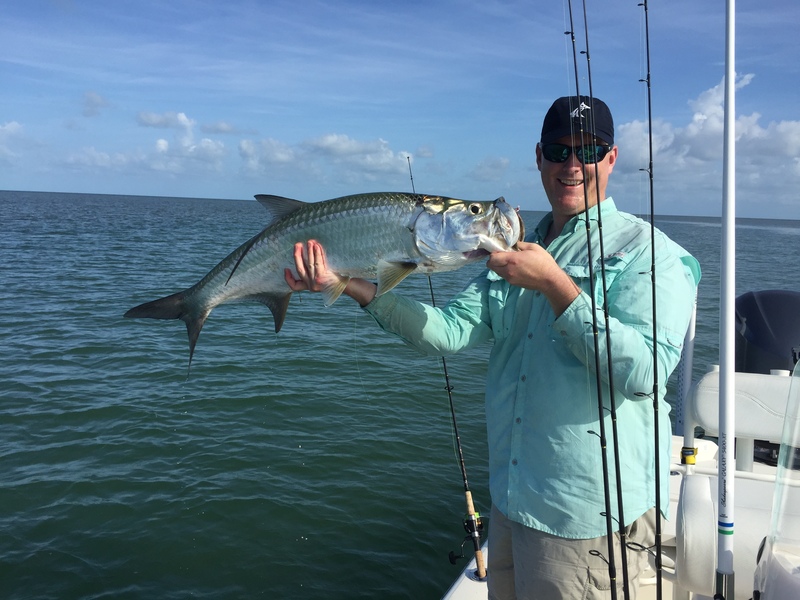 If you are looking to go after harder to catch species like bonefish, tarpon, and permit, we will specifically sight fish and dedicate the day to hunting on the flats. A tip for this time of year is to be vocal with your captain as far as what you’d like to go after and how you would like to spend your time on the water. With it being summertime the water does tend to heat up around mid day. 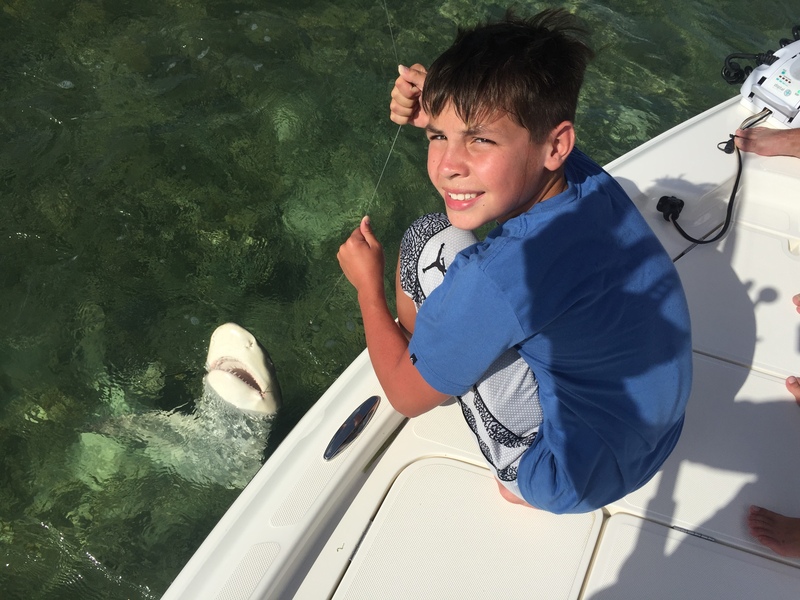 This warmer water, depending on the tides/winds/etc, can sometimes cause the bite to slow down so you want to make the most out of your day on the water. Most captains aren’t against mixing it up and trying a couple different types of fishing if you’d like to diversify your charter. Just make sure they know what you’d like to do!